We love pizza, it simply is tasty, and no matter how bad reputation it has for its unwanted calories, even the most pristine dieters tend to cheat and go back to old habits. But it does not have to be unhealthy, and although you won’t find these recipes in your local Domino’s Pizza, there are many ways to fill that slice with healthy antioxidants, fibre and muscle building protein in your own kitchen. 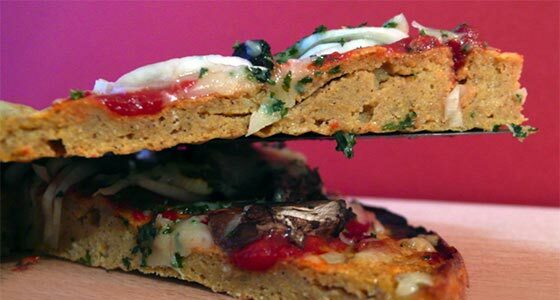 I came across these two great pizza crust recipes by Anna Sward Of Proteinpow.com, they won’t make you feel guilty- no white flour, no sugars, no oil and butter, but rather healthy fats, complex carbs, and protein. 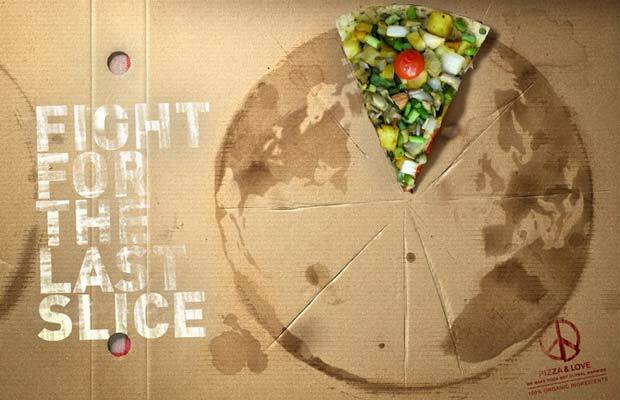 Choose your toppings wisely, and you can munch on more than 2 slices. 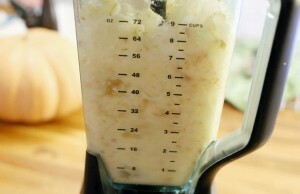 Whisk (you can also blend) the above ingredients together until it becomes thick liquid or sticky dough. Use a non-stick pan, spray it with olive or coconut oil and heat it to a high temperature, it needs to be hot-hot-hot, when it sizzles it’s about right. Scoop the dough into a pan and spread it with a spoon until it has a nice, flat and round shape. Once dough is cooked on one side, flip it and cook on the other side. When it’s done, remove it from the pan and place it on a baking tray or grill. Now you can add your toppings to the crust. Depending on your taste and macronutrient needs, you can add whatever you like, the sky is the limit. 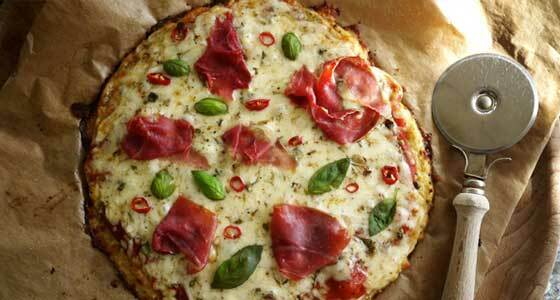 Broil pizza until the cheese melts and the sides brown, usually 10-15 min. Preheat oven to 170 °C (340 degrees F). Use blender to mix all ingredients. Divide the mixture into two cake pans. Unless you like super thick base. You can use either silicone cake pan or greased regular one, both will do the job. Bake until crusts are golden (about 15 minutes). 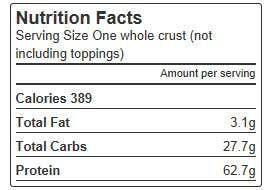 Add your toppings to taste and nutrition needs, your choice. Broil pizzas, and when the cheese melts and the sides brown (about 5-10 minutes), you can remove it from the oven.